How to make the effect of "wet chemistry"
Perming is just a salvation for those women who have naturally thin or sparse hair. And if they are still prone to fat, perming is a perfect outlet. After her hair becomes luxuriant because of the curls increases the density of hair decreases their fat content. Besides, laying in a chemical wave does not require much effort. How to style chemo, the hair didn't look like a sponge, and the hair look the way you want?Right after you've done a Perm, the hair cannot be dried by the dryer to collect in the tail, cheat on curlers, twisting the wet, going to bed with a wet. To pin the curls for two days after perming, the hair should be dried naturally, comb only comb or comb with a few teeth large, not pulling. The effect of himreaktiv curler lasts for two days, so the deformation of wet hair can cause the curls will be ruined. Get a good haircut with a Perm on hair is possible in the simplest way. Washing your hair, dry your hair with towel, comb them rare comb, then apply a hair conditioner. After that, hair should be slightly pull your hands to form curls, and allow them to dry naturally. If you like the effect of wet hair, in the presence of perms it shouldn't be a problem. After shampooing wet hair with a towel, tucking in his curls, and cause them to gel or foam to create a "wet" effect. Moreover, the tool is well moistened strands. Then hands again draw the curls and give the hair to dry without a Hairdryer. For this purpose, suitable and conventional foam or mousse for hair styling, I take a bit more than simple to fix the hair. 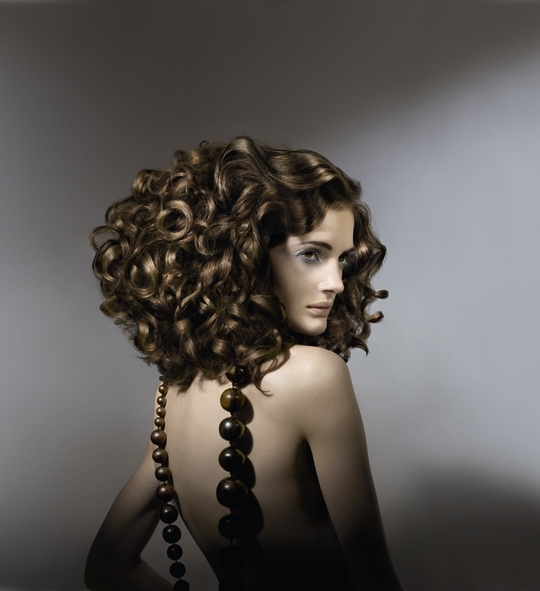 When you want to get lush wavy curls, put chemistry using the tools, reinforcing the tresses. They are applied on damp hair after washing, then allow the strands to dry. To quickly dry your hair using a hair dryer for a chemical Perm need to use the diffuser to the air flow not inflated and not squared her wavy curls. Perming helps to significantly prolong wound on curlers curls, so if you want to get big hair on wet hair is applied to the pin and wind the hair on curlers the size you want. If there is no hurry, you can give the hair to dry naturally.